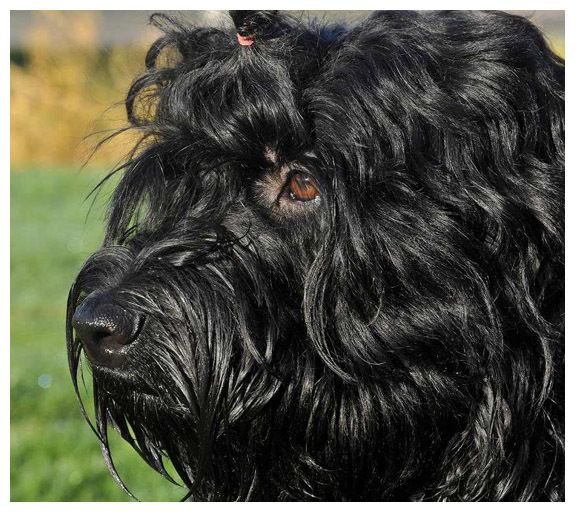 The Barbet is a medium/large water dog with a thick shaggy, curly coat over its whole body. Its hair grows over its eyes and it has a pronounced beard. The coat is commonly solid black, solid brown in differing shades or either colour mixed with varying quantities of white. The Barbet is an active breed which enjoys work and play equally and can be used for a variety of activities such as agility, obedience, tracing, etc. It is in origin a fowl hunting dog and loves water and retrieving. Being an intelligent dog, the Barbet enjoys being stimulated although this also means it becomes bored if left for long periods on its own. As with any intelligent breed a certain amount of training and discipline is essential but the effort is well rewarded. The Barbet becomes very attached/devoted to its owners and makes an excellent companion and family pet. It adapts to the family situation and is very good with children. The Barbet is an even tempered dog and is not aggressive or shy with other people or dogs. It will bark to warn of the approach of strangers but does not expect any further action. The Barbet is a very old breed. References to the Barbet have been found in documents dating back to the 17th century. The generally accepted theory is that the Barbet is descended from corded herding dogs originating in North Africa which were brought to Europe with the Moors as they occupied the Iberian Peninsula during the 7th and 8th centuries. 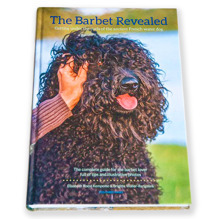 Read more on the UK Barbet Club website about the ancient history of waterdogs. Barbet is pronounced `bar bay`, with the `et` on the end as in ballet. `Barbe', the French word for beard, is the origin of the name Barbet.